American DJ M-2020 DJParts - All Variety of Parts that DJ Needs. 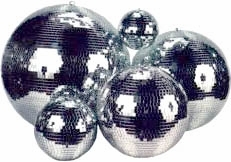 Home > Lighting/Snow/Fog/Bubble Machine > American DJ > Mirror Balls > Mirror Balls and Accessories > American DJ M-2020 - 20 inch Mirror Ball - New Low Price! American DJ M-2020 - 20 inch Mirror Ball - New Low Price!